and conversion business tailored to upmarket cars. The retail shop sold a broad range of accessories including spoilers, alloy wheels, model cars and steering wheels. This was the first such business in Western Australia and had exclusive WA agencies for many well-known brands, including Zender, AMG, Momo, BBS and Zymol. Automagination sold the first set of 17-inch alloy wheels and tyres fitted to a car in Australia (a BMW 850i). 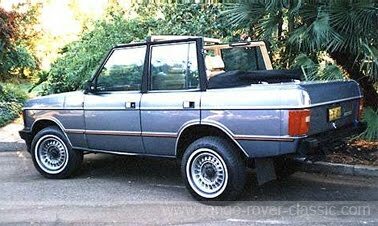 Automagination also designed and marketed a comprehensive convertible roof conversion for Range Rovers (a Registered Design), 14 of which were built. 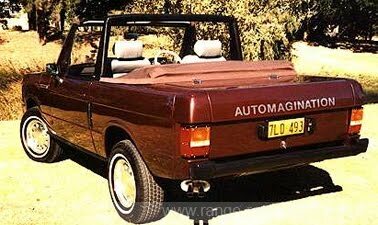 A broad range of other specialist conversions were done on cars by Automagination. Limited editions for distributors and dealers were also undertaken. This vehicle converted by Automagination in Western Australia. 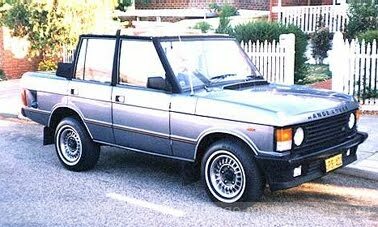 One of 14 built to their own design, based on Range Rover. This was the first example completed, an Automagination demonstrator. Original station wagon bodywork with 2-piece tailgate arrangement replaced at rear with full lift-up luggage bootlid/trunklid. steering wheel and gearknob, etc. 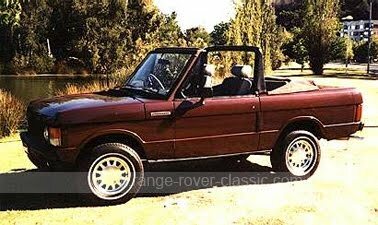 Built in 1986 on a 1979 Range Rover. 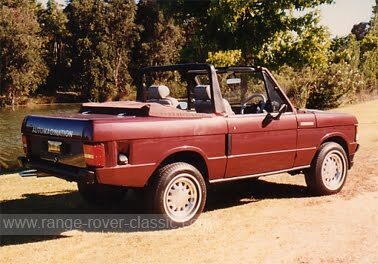 Range Rover Classic 2 door convertible built by the Australian conversion company Automagination. One of only 14 built.